The Mayor of London, Sadiq Khan, has launched the second phase of consultation on proposals to improve air quality in London. 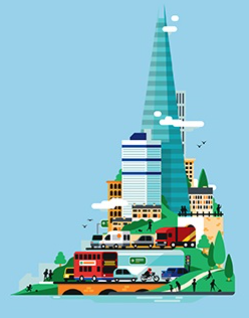 Earlier this year, the Mayor received a positive response from thousands of Londoners who gave their views on a number of initiatives to improve the quality of the air and the health of Londoners. We are now seeking views on the Emissions Surcharge proposal and options for enhancing the Ultra Low Emission Zone. We would now like your views on the proposal to introduce a new Emissions Surcharge (also known as the T-charge) in 2017. This would be a £10 daily charge for cars, vans, minibuses and heavy vehicles driving in Central London that do not meet the emissions standards. It’s mostly for vehicles registered in 2005 and older and would be in addition to the Congestion Charge. This is a formal Variation Order consultation on the introduction of the Emissions Surcharge. Extending the ULEZ from Central London to Londonwide for heavy vehicles (heavy goods vehicles (HGVs), buses and coaches) in 2019 or later. Please visit our website tfl.gov.uk/airquality-consultation for further detailed information about our proposals to improve air quality. The consultation ends on 18 December 2016.